Receiving a bouquet of beautiful flowers is one of the most heart-warming experiences that celebrate and remember life’s important occasions. Or often just bring a welcome dash of colour to our lives! Bouquet Box has recently brought a new subscription flower service to Ireland which means you can choose to have stunning fresh flowers delivered every week, fortnight or month, to brighten your home, workplace or to bring happiness to those you love. 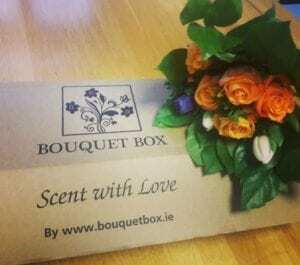 At Bouquet Box, we think it should be simple and easy for everyone to receive and enjoy fresh, gorgeous blooms whenever and wherever they want: at home, at work, and everywhere in-between right across Ireland. Think the Farm to Table trend is only for food? Think again! We partner with sustainable farms around the globe to provide you with the most stunning and unique blooms around. Each stem we ship is hand-picked and cut 2-4 days before you receive them, ensuring quality and freshness. We are proud to be revolutionizing the way fresh flowers are delivered across Ireland! By cutting out the middleman, your blooms arrive at your doorstep within four days of getting cut rather than the typical 8-10 day turnaround from other retailers. With Bouquet Box, there is no need for your flowers to sit in warehouses, wholesalers, or flower shops. No more fatigued, dull grocery shop bouquets! We deliver only the freshest flowers so you can enjoy them for weeks to come. Our stems are so fresh, they can arrive in bud form – giving you the unique opportunity to watch your flowers bloom before your eyes into beautiful arrangements that last for weeks! Don’t just take our word for it….why not sign up today & see for yourself…..